Material Design is the hottest trend in responsive website development. 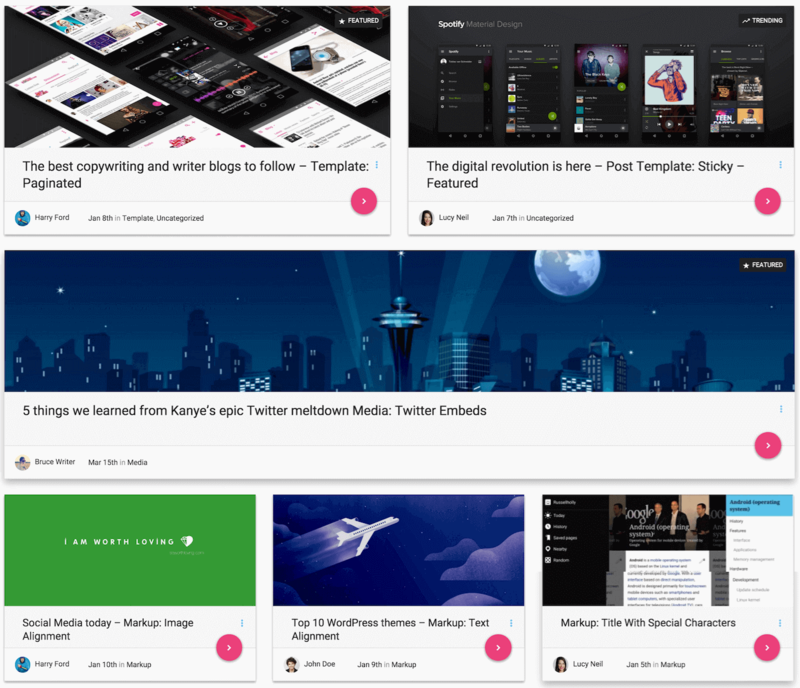 Google’s Material Design language is the future of adaptive/responsive web design. It not only provides a colorful, flat design that users are familiar with, but also provides a natural more organic user experience that will keep visitors on your webpage and experiencing the conversation. Premium WMD theme offers a full Google Material Design experience. Most of the WMD theme competitors will offer a partial experience, but WMD team have gone further to provide a theme that incorporates this design fully. It is a relatively new design trend, but one that has received its share of awards and accolades. You will receive the full benefit of this award winning design and be on the cutting edge. 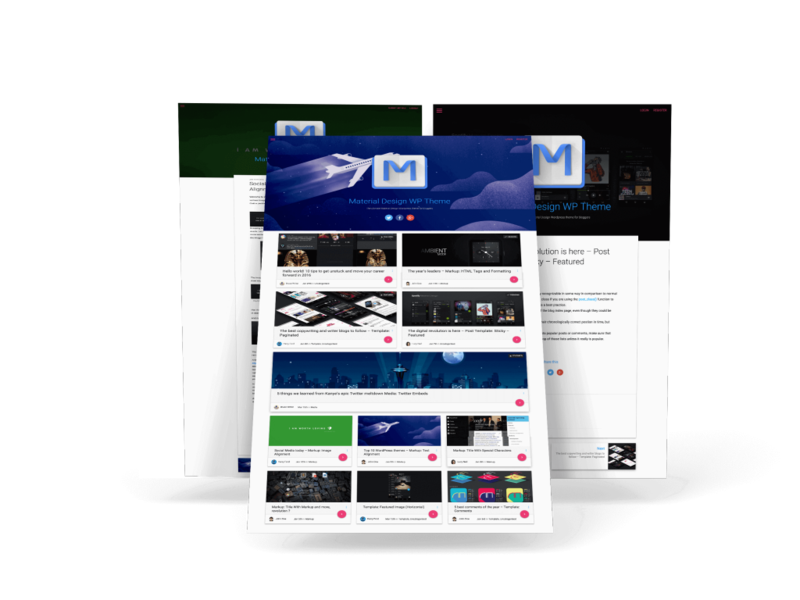 WMD Material Design theme will not only incorporate the best of Google’s Material Design, but will be fully SEO optimized and ready to draw traffic to your website. The theme use all available SEO plugins and contain ultimate Schema.org implementation to boost your SEO score and optimize your blog posts for Google news. It will be Google News ready and able to get your site on Google news in no time! WMD theme allow you to participate fully in social blogging and to benefit from activity with amazing user profile designs that incorporates all the best and newest social networks. All of your social media in one spot! A gorgeous website design that is ready to attract visitors with clean lines, no messy headers and sidebars, and pure ease of use. You will be ahead of your web competitors when you use WMD theme. WMD is the first WP theme to fully incorporate Google’s Material Design guidelines and effects at its best. It is unique and engaging and exactly what people are used to looking at on their Android phones. With WMD theme you will leave your audience with the impression that you are technology forward and care about providing a welcoming, fun user experience. Google’s Material Design is the design of the future and you will be among the first to fully utilize this trend and dazzle your audience with an experience they will enjoy. I recently bought this theme and am struggling with the content on signup page. They have set the default title of the signup form to be “Register to become MDB author”. Can anyone help me to change it to something else. Also i want to add more field to the signup form (Is it possible?). I have already tried to ask for a help by visiting the contact us link and filling up the required form. But haven’t received any reply yet. 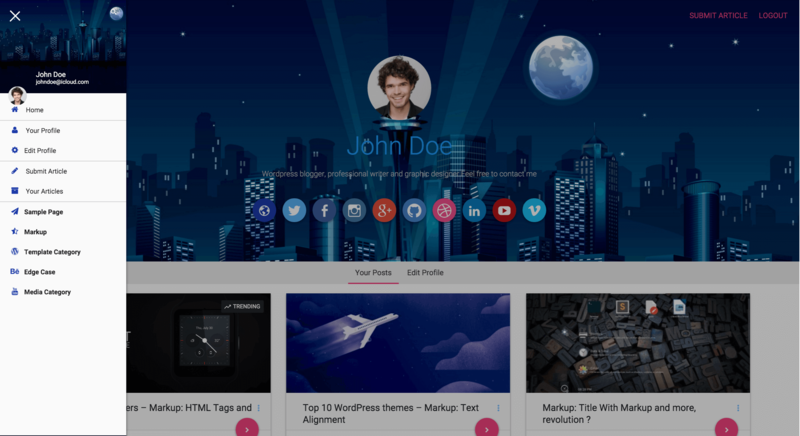 Premium Material Design Theme for WordPress.its very helpful article about Theme for WordPress.thanks for informative post i will again visit this website .wonderful website.